1st Year Business Studies Poster Competition Winners. 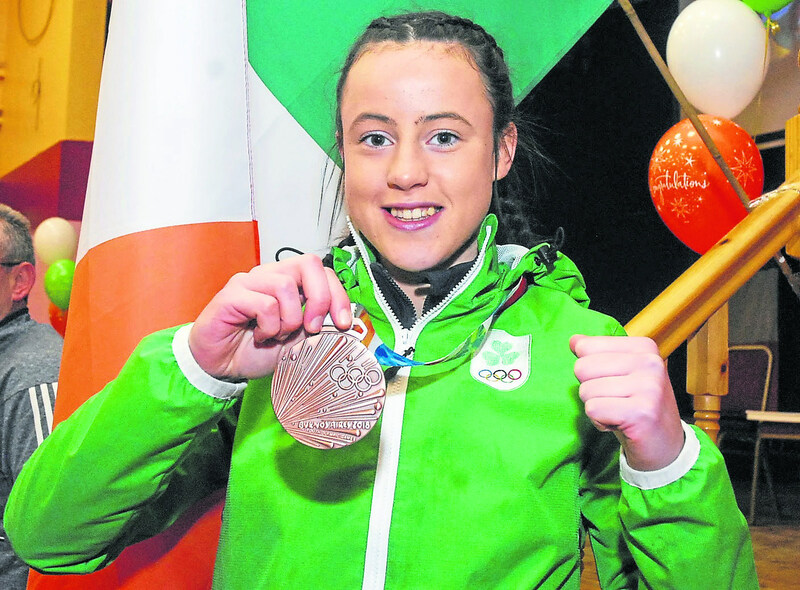 Congratulations to Featherweight boxer Dearbhla Rooney who has claimed bronze at the Youth Olympic Games in Argentina to seal Ireland’s fourth ever boxing medal in the competition. The Leitrim fighter dominated her medal box-off versus New Zealand’s Te Shelford-Edmonds in Buenos Aires having lost her semi-final last night against Thailand’s Panpatchara Somnuek. She now joins an elite group of boxers in the competition. Well done Dearbhla from all the staff and students in St Clare’s. This is the third edition of the Youth Olympic Games which are hosted every four years. The Games, running from 6 October - 18 October features more than 4,000 talented junior athletes aged 15 to 18 from 200 countries in over 32 sports. Best wishes to Susan Aji in 1D who will compete in the world chess championships. 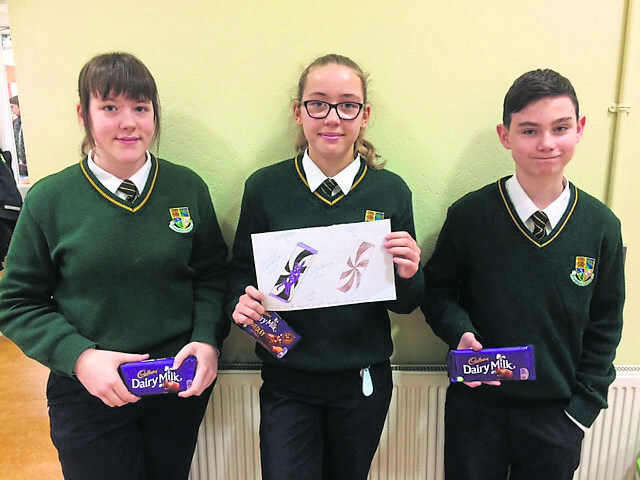 1st years completed a poster competition for marketing a new chocolate bar in their Business taster class. This event was organised by Ms Carty and Ms Cunningham. Great work was done by all students. The St. Clare's U15 boys soccer team played St. Josephs of Foxford on Wednesday the 17th on the Sligo I.T. astro pitch. The first half was evenly contested with St. Clare's going in at half time with a 2-1 lead thanks to two goals from Patrick Montgomery. St. Clare's started the second half well and scored an early goal through a fine strike from Eanna Clancy. The early goal set the tone for the second half and St. Clare's went on to win the game 6-1 thanks to further goals from Eanna Clancy and two from Montgomery. 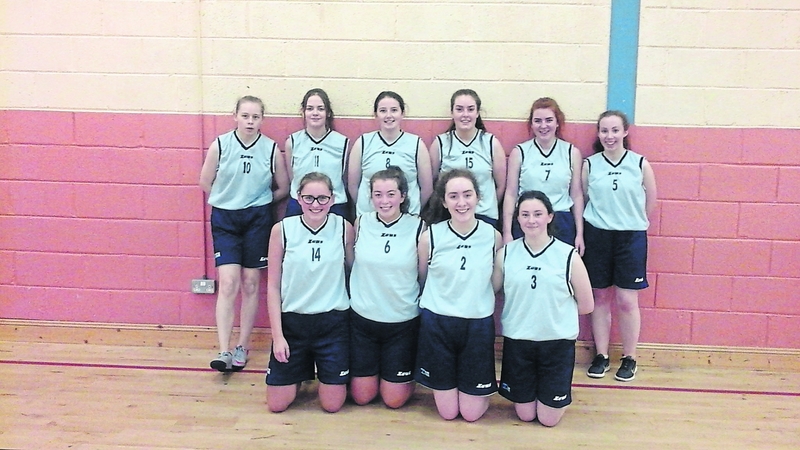 This result means that St. Clare's will progress into the quarter finals with still one game left to play in the group. 3rd years are practicing their Junior Certificate dishes on a weekly basis. This week, they prepared, baked and served a variety of delicious muffins. Key skills used here were sieving, melting, creaming, oven management and evaluating. Next week, students will move onto task 2, a focus on fruit and vegetables with the plan being to make a stir fry. 3rd Year Home Economics students. 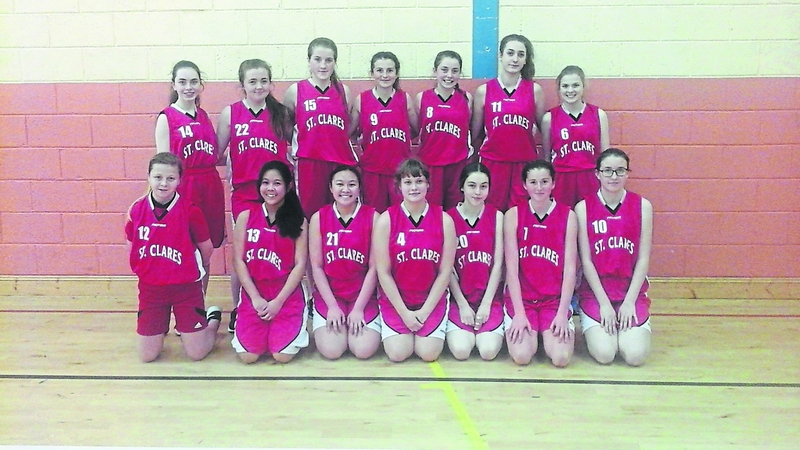 Junior Girls score 57-22 to St. Clare’s. The juniors played extremely well in the first quarter and established a twenty point lead which they maintained until the end of the match. Rachel Conlon and Roisin McManus dedication must get a mention for competing in poetry competition for English and returning to help win the match. Transition year students have now begun the task of assembling their outfits. They have spent the last 5 weeks collecting recyclable material and coming up with their concepts. 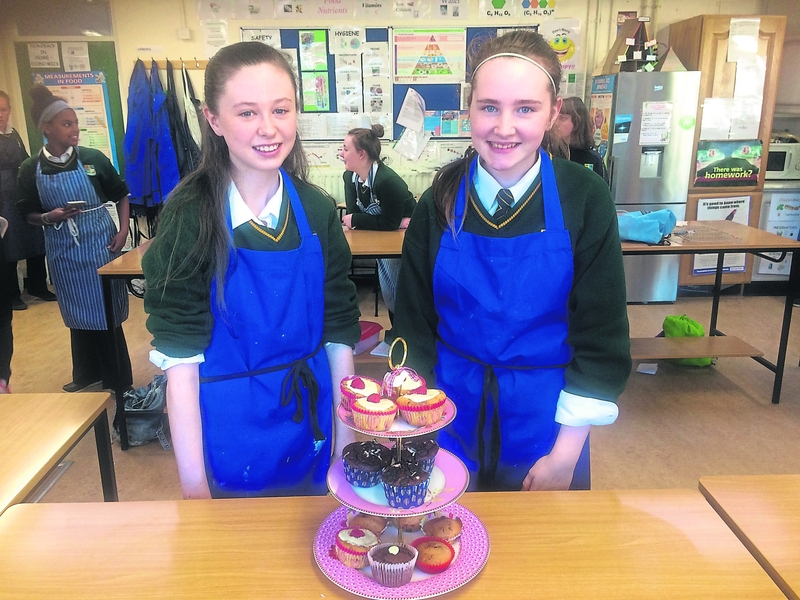 The programme is mentored by Ms Conaty each year within St Clare’s. We look forward to what this years TYs will come up with. 5th Year students under the guidance of Ms Carty are taking part in this year’s shoebox appeal. We are asking all students to get involved in this very worthy cause. Drop off point in the Main Hall. Deadline is Friday the 26th of October. The Class of 4B held a very successful cake sale on Wednesday the 18th of October. Thank you to all the bakers and supporters. Thank you to Ms Cunningham for coordinating this. Thank you to Ms McKeon for decorating the courtyard to get everyone into the Halloween spirit.